I photographed this female Anuroctonus phaiodactylus, "Black Clawed Scorpion", which was found by my friend James. They are found in California, as well as being reported from north western Arizona, and live in burrows. They rarely come out of their burrows. 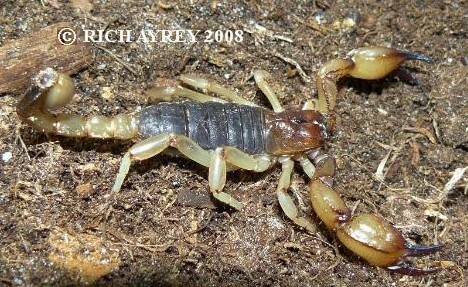 They can be found by searching for the burrows and carefully digging out the scorpions.